After last night’s double fail with both cake and fondue, tonight was a welcome relief. Because tonight, I made risotto, and it was soooo good. 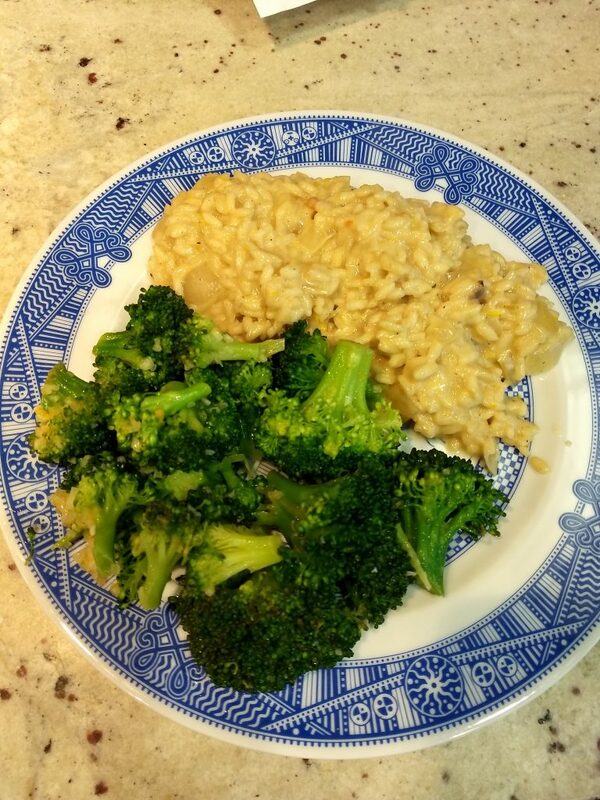 I am not sure if I have actually made risotto before, as usually the only rice we have in the house is the brown variety, but I have seen it made oodles of times on various cooking competition shows. It is not a quick meal, since you are basically cooking the rice very slowly in a skillet, but it’s worth it. This particular recipe starts with a finely chopped onion, includes lots of lemon juice, and ends with butter and parmesan cheese, and a dash of cream, and honestly, there is just no way this could have gone wrong. The recipe for the risotto claims it makes only two servings, but they must be feeding giants, because this could easily feed two to three times that many people. In deference to health, we had it with a side of broccoli, steamed and then tossed in a lemon, garlic, onion, butter sauce. 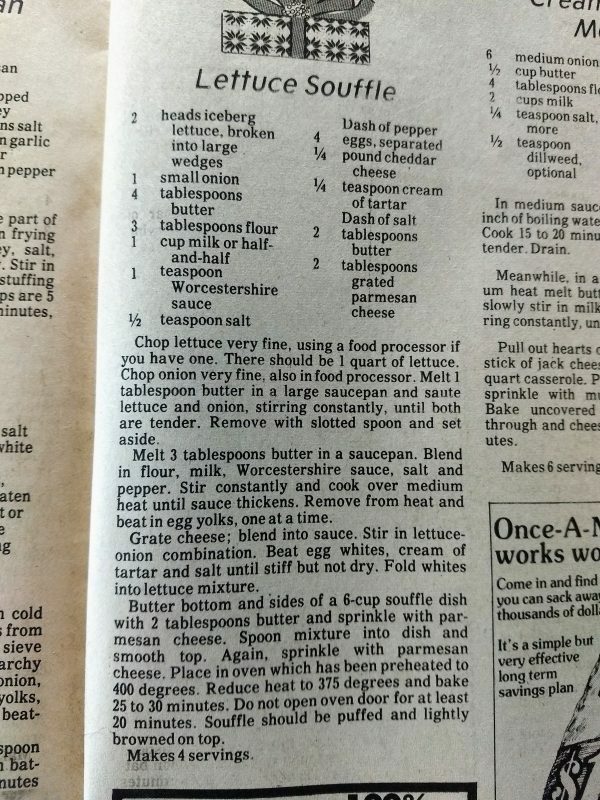 The sauce recipe came from a collection of vintage recipes which also includes this particular gem. Someday I may have to make this, just for the amusement factor, because how could I *not*?